The following are our prices for the 2015-2016 season (valid until Aug 31, 2016). Please click on the various tabs below for details. Our lawyers are forcing us to mention that prices are subject to change at our sole discretion, blah blah blah. You know how it goes. The following are our prices for our daily dive trips. Prices include full gear rental, boat fees, DM fees as well as snacks on the boat. 5% service tax is additional. Please scroll down to see related Dive+Stay packages. There is a Rs 500 discount per day if using own equipment. More information on our daily dive trips for certified divers. – A 5% service tax applies to the package, additional nights stay and additional diving. – Meals are not taxable.Meals-included option is available at Rs 1,200 per person per night, payable directly to the restaurant. You can choose this when making your booking, or when here. – Use some of the dives in the package to do your Advanced course – Rs 4,000 extra for SSI or Rs 5,700 extra for PADI. – Peak season daily surcharge applies from December 15th – January 5th, inclusive. – There is a 10% discount on the package if starting on or after June 1 and ending on or before September 15th. – Not included in this package are beverages, tips, personal expenses and accommodation in Port Blair or surcharges for expedition trips (if applicable). – Meals are not taxable.Meals-included option is available at Rs 1,200 per person per night. You can choose this when making your booking, or when here. deduct Rs 2,500 from the above prices. 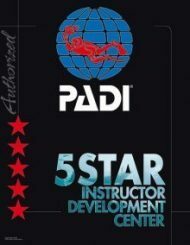 Option B: 10 days/20 dives + 2 night dives, including SSI Advanced Course (PADI also available). – A 5% service tax applies to the package, additional nights stay and additional diving. Meals are not taxable. – Meals-included option is available at Rs 1200 per person per night, payable directly to the restaurant. You can choose this when making your booking, or when here. – If you want, you can substitute PADI for Rs 1700 extra, if you have chosen Diving Option 2 or 3. – CPR/First Aid training (EFR) is not included in Option #3. You can complete this training at home through Red Cross, St John’s Ambulance or similar agency, if you prefer. You can also do it with us at a discounted price of Rs 6000 if combined with this package.